EICOSAPENTAENOIC ACID (EPA) AND DOCOSAHEXAENOIC ACID (DHA) CONTAINING DIETARY SUPPLEMENT. EPA AND DHA CONTRIBUTE TO THE NORMAL FUNCTION OF THE HEART. 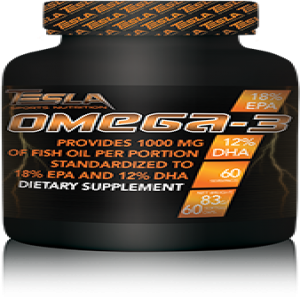 The beneficial effect is obtained with a daily intake of 250 mg of EPA and DHA. BESIDES DHA CONTRIBUTES TO MAINTENANCE OF NORMAL BRAIN FUNCTION AND NORMAL VISION. The beneficial effect is obtained with a daily intake of 250 mg of DHA. As a dietary supplement, take 1 softgel capsule daily with a plenty of water or other liquid. For maximum benefits, consume as directed everyday.